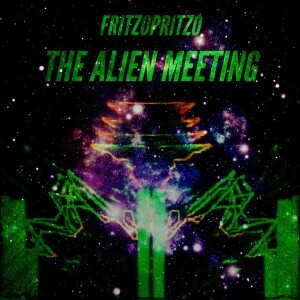 The Alien Meeting is the first release from Swedish producer Fritzopritzo. The journey begins on earth with a native tribal feel before heading off into deep dark space along with some organic and mechanical elements. The exploration evolves into a technological warfare-dance and then returns back to earth with a totally rude EDM remix. Mastering and cover art by Fritzopritzo. MP3 Download | FLAC Download | WAV Download · Download count: 6,044. Somehow, I decided to listen to this album, and now, I can’t stop traveling to and from this encounter… Awesome work!! As a 69 years young person the music is as good as ever. Last three have been Way to GO!!!!!!!!!!!!!!!!!!!!!!!!!!!!!!!!!!!!!!!!!!!!!!!!!!!!!!!!! !